2071 is the year my oldest grandchild will be the age I am now. 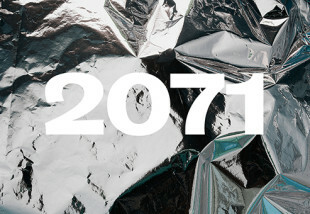 LCCP Chair Chris Rapley has been working with writer Duncan Macmillan and internationally renowned director Katie Mitchell on a new piece of theatre where the science was centre stage: 2071 was a conversation on what we should do about climate change – what do we owe future generations? How can we protect our children and grandchildren? In the light of London’s success, Chris has also performed the play in Hamburg and might be involved in further performances across Europe. Chris is also Professor of Climate Science at University College London. He was director of the Science Museum from 2007 to 2010 and awarded the Edinburgh Science Medal. He was Executive Director of the International Geosphere-Biosphere Programme IGBP from 1994 to 1998, and Director of the British Antarctic Survey from 1998 to 2007. Recently Duncan Macmillan’s 1984 transferred to the West End. His work Lungs (Schabuehne, Berlin and Paines Plough) won Best Play at the Off West End Awards. After Ten Billion, Katie Mitchell’s collaboration with the scientist Stephen Emmott in 2012, and directing the German language production of Duncan Macmillan’s Lungs, Katie continues her commitment to exploring the future of life on earth and climate change through theatre. Other recent Royal Court credits include Simon Stephens’ Wastwater and Martin Crimp’s The City. A co-operation with Deutsches Schauspielhaus, Hamburg.